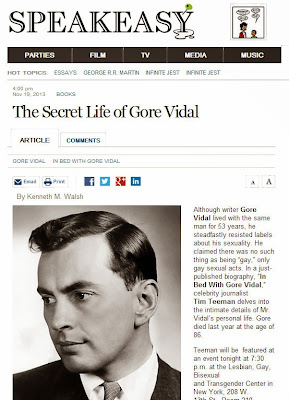 To read my WSJ Q&A with Tim Teeman, author of "In Bed With Gore Vidal," click HERE. To read my WSJ Q&A with Dan Savage, click HERE. 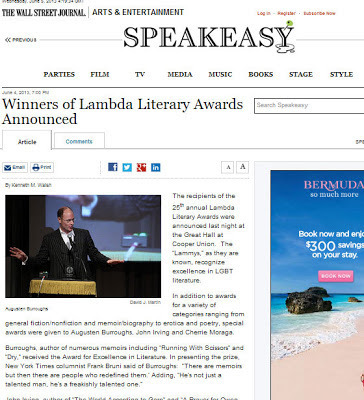 To read my WSJ recap of the 25th annual Lambda Literary Awards, click HERE. 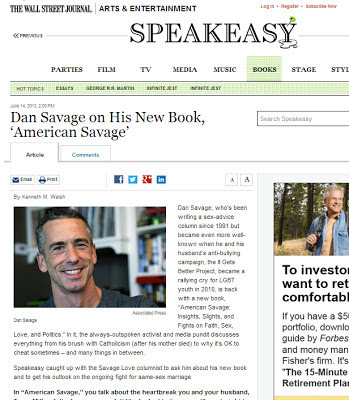 To read my WSJ interview with Rosanne Cash, click HERE. To read my WSJ interview with "AC360" producer Jack Gray, click HERE. To read my WSJ review of the Skivvies at Highline Ballroom, click HERE.